Snapdragon Wear 2100 was designed to provide more advanced forms of wearables we have today, including smartwatches, but the slowing smartphone and smartwatch markets (the smartwatch market is still in flux, though), and the need to diversity its portfolio, chipset maker Qualcomm is back to bring its processor power to other wearables, including those designed for both kid and elderly persons, among other things. The chipset in question is called the Snapdragon Wear 1100, and it's designed for the purpose of providing not only things like 3G/LTE, WiFi, GPS, and Bluetooth, but also provide battery enhancements so that, as wearable devices become even more portable they retain top-rate battery performance. Alongside of these features, the presence of TrustZone, the HW random number generator, and a hardware cryptographic engine ensure that your wearables remain as secure as ever. 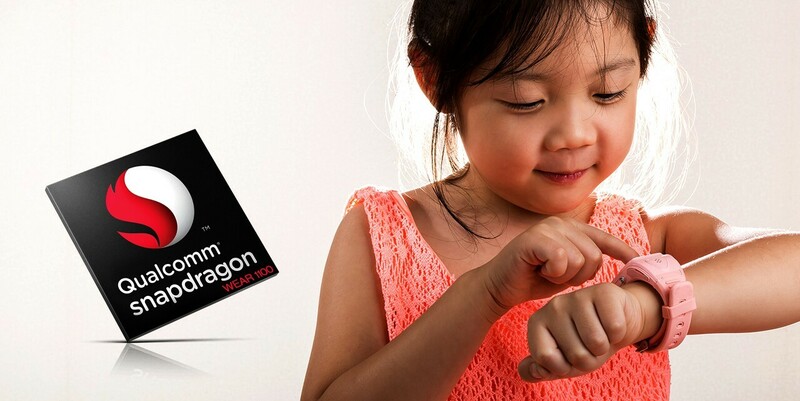 With the Snapdragon Wear 1100 announcement, Qualcomm has secured partnerships with international companies such as Borqs, Aricent, Infomark, and SurfaceInk, companies that intend to target kids and elderly persons in the wearables segment. Anda Technologies, InWatch, and WeBandz announced kid watches at the Computex 2016 event.